Hugh Randolph Butler, 93, went to be with the Lord on November 26, 2018. He was born on a farm near Lingle, Wyoming on September 10, 1925 to Hugh A. and Helen [Randolph] Butler. He was the third of nine brothers. 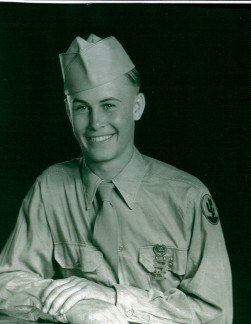 He was drafted into the army during his senior year in January 1944 to serve in combat as a radio man and later in charge of German prisoners in WWII European Theater. He was honorably discharged May 4, 1946 as a Sergeant in the army. After the war, he attended two years at the University of Wyoming taking mechanical engineering. Then he worked in construction for two years. In January 1950 he came to Hot Springs to work in the creamery business for a year and then worked at Holt Motor Sales. During that time Hugh married Virginia Singleton on September 6, 1952. 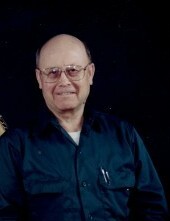 Later, to support a growing family of two daughters, he worked in the lumber industry as a logging truck driver, mechanic and a millwright for about 40 years. He was preceded in death by his wife of 65 years, parents, five brothers and four sister-in-laws. Hugh is survived by daughters, Helen Sue (Ed) Johnson of Plains, MT, and Julie Butler of Reno, NV. Also, brothers, Jerry (Lois) Butler of Florida, Glen (Bonnie) Butler of Wyoming and George Butler of Virginia. His sister-in-law, Jo Butler of Nevada; two grandchildren Amanda (Casey) Ford of Livingston, MT and Michael Johnson of Bozeman, MT. A memorial service will be held December 8, 2018 at 2 p.m. in the Hot Springs School’s old gym, with a potluck following in the school lunchroom. A private family graveside service will be held at the Murray Memorial Cemetery before the service. The family requests memorial donations be made to the Hot Springs Bible Church, Box 628, Hot Springs, MT 59845.